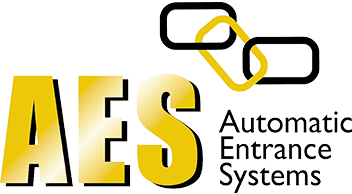 AES (SCOTLAND) LTD undertake all aspects of residential, commercial and industrial maintenance and servicing of electric gates and car park barriers in Edinburgh, Glasgow, Stirlingshire, West Lothian, East Lothian, Fife and the Scottish Borders, Scotland, UK. Once you’ve had your new set of automatic gates installed, it makes sense to look after your investment. Too many people allow their gates to fall into disrepair, which can prove costly to repair. Preventative maintenance is an important part in providing longevity to your installation and to also ensure reliability and safe function. Also, any warranties that are applicable to your system are subject to a regular maintenance program. As with all automation equipment a maintenance program will ensure the longest possible life of the equipment. 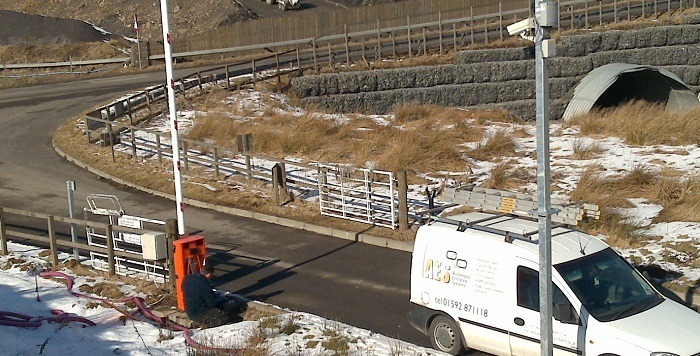 We also carry out repairs to problematic gates and barriers. Problems can be due to a normal component failure or a poorly installed system, as illustrated in the adjacent image. 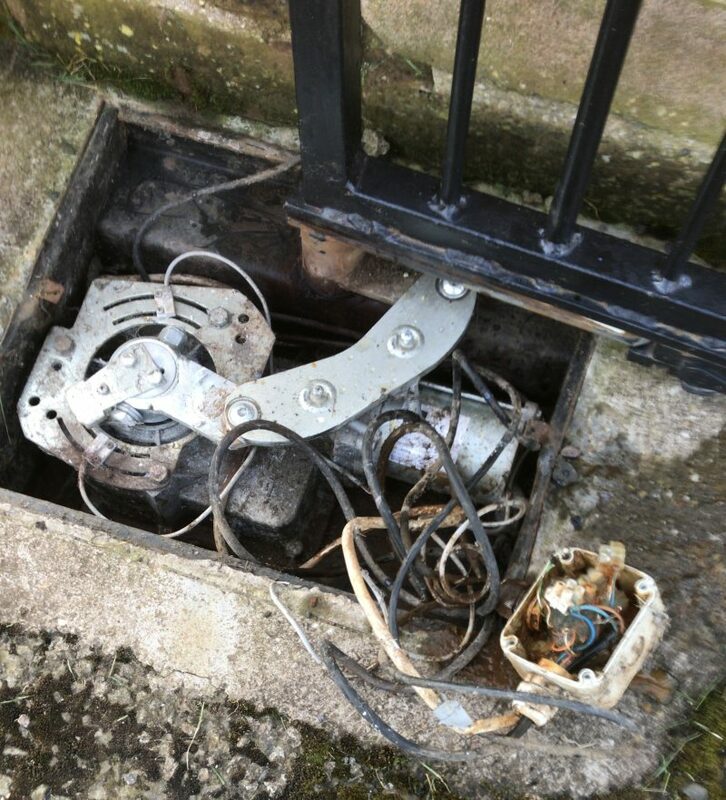 If you find an electrical junction box inside your underground operator foundation box, please contact us for a quote to repair. An underground operator foundation box is, under no circumstances, an electrical junction box. These boxes are designed to fill with water, therefore, they should not be used to house electrical connections. Why have your gates serviced? We can’t stress enough how important it is that you have your gates serviced regularly, for quite a few reasons. One of the most important reasons would be to ensure that all the safety devices are working correctly. Another reason is that an engineer can check that the manual release is working. We’ve been called out to numerous repairs where the manual release has seized solid and therefore become useless (there is nothing worse than being locked in or out of your own gates). No matter which system you have, it is also important to keep it well lubricated and fully sealed for protection against ingress of water, slugs and other insects. Those with gate systems with underground operators will also find that over time the foundation box will eventually fill with water and whilst the operator itself is rated and safe when working submerged in water, this is only for a short period of time. Continuous and prolonged submersion will eventually damage the operator or significantly reduce the life of the unit due to corrosion or perishing of components. When a gate has not been serviced for some time, debris such as earth can also build up in the foundation box. Again, this doesn’t necessarily mean the gate will stop working but it does reduce the life span of the components. We now provide three year renewable maintenance contracts, which are detailed below. The cost of our servicing is determined by your specific site. We take into account the age and type of system/s you have. You can also simply have a one-off BRONZE service, without any further commitment. During the Cover Period we will make the number of programmed calls specified in schedules here to carry out preventative maintenance of equipment. The cost of associated travel, labour and sundries is included in the cost of this agreement. We will advise you if equipment should be repaired or replaced. At your request we will repair or replace equipment and all associated travel, labour and parts will be chargeable and such work will be done subject to our then current standard terms and conditions. During the Cover Period, we will provide Bronze Cover and in addition we will repair or replace equipment. The cost of associated travel and labour will be covered by this agreement but associated parts will be chargeable and all such work will be done subject to our then current standard terms and conditions. The cost of associated travel and labour and parts will be covered by this agreement and all such work will be done subject to our then current standard terms and conditions. What’s included in your comprehensive BRONZE service? Carry out a survey to highlight any areas of concern and offer appropriate recommendations for improvement. Check general operation of system. Inspect structural state of gate support. Check gate alignment and ground clearance. Inspect operators for condition, damage, wear etc. Check operator fixings, brackets and geometry. Bleed and top-up oil, if applicable. Pressure test and adjustment – open and close. Check manual release and locking performance. Check condition and operation of all control equipment. Carry out visual inspection of all electrical connections. Check all external and internal seals for degradation and re-seal as necessary. Clean out foundation boxes and check drainage for underground operators. Check and if required, change batteries on Safety Edge and Photocell Transmitters. Highlight any areas of concern and provide appropriate safety recommendations. Quotes prepared for any repairs required. Car Park Barriers – Check barrier fixing plate, barrier box, beam, skirt and end support. Rising Bollards – In line with manufacturer’s recommendations, during the first service in any year, the bollard will be completely removed for inspection, cleaning, lubricating and oil checks. Garage Doors – Check door balance, condition of fixings, frame, springs, door lifting gear and operator. Roller Shutters – Operation, condition and fixings for shutter curtain, lathes, end locks, bottom rail, guide channel, guide stops, chain keeps, gearing, barrels, safety brake, coil casing, motor drive, manual over-ride and limits. Included with your Service is a detailed service report and certificate.